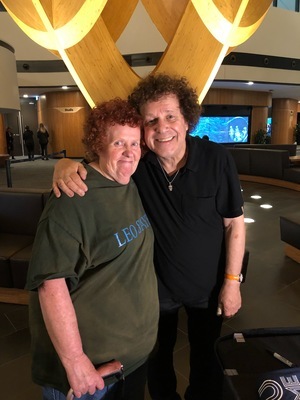 A Narre Warren resident has shared an incredible photo of her and music legend Leo Sayer – with the pair looking identical. Kerryn Cunningham had the opportunity to meet her biggest idol after attending his live show at Bunjil Place on Sunday 14 April. The British rock star was in town with his all-star band for a series of special shows to celebrate his 70th year on Earth. 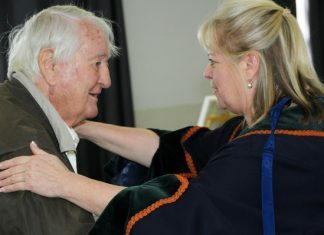 Kerryn hung back after the show to meet Leo – an international chart topping music legend before posing with him in a photo. “I was standing in the queue to get the records and the t-shirt signed,” she said. “I said ‘they tell me they look like you’ and he goes ‘yeah you’re like my twin’. “He’s a really nice gentleman. I was over the moon because this is my idol,” Kerryn added.